Yellowbrick has two primary dependencies: scikit-learn and matplotlib. If you do not have these Python packages, they will be installed alongside Yellowbrick. 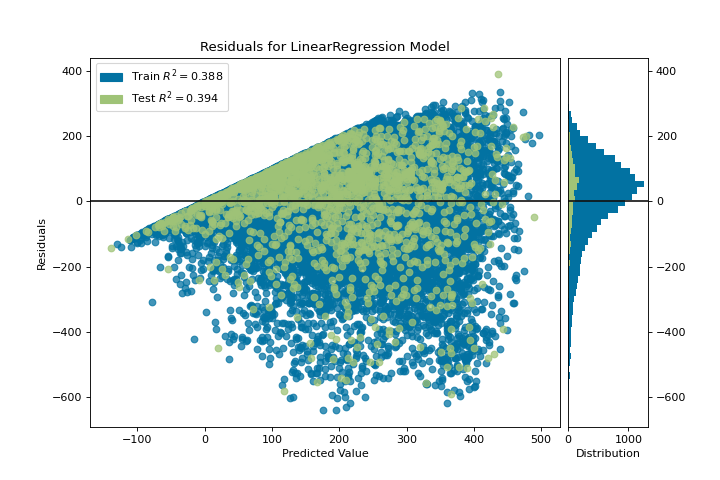 Note that Yellowbrick works best with scikit-learn version 0.20 or later and matplotlib version 3.0.1 or later. Both of these packages require some C code to be compiled, which can be difficult on some systems, like Windows. If you’re having trouble, try using a distribution of Python that includes these packages like Anaconda. Yellowbrick is a Python 3 package and works well with 3.4 or later. The simplest way to install Yellowbrick is from PyPI with pip, Python’s preferred package installer. Once installed, you should be able to import Yellowbrick without an error, both in Python and inside of Jupyter notebooks. Note that because of matplotlib, Yellowbrick does not work inside of a virtual environment on macOS without jumping through some hoops. The extension of the filename will determine how the image is rendered. In addition to the .png extension, .pdf is also commonly used for high-quality publication ready images. Data input to Yellowbrick is identical to that of scikit-learn. Datasets are usually described with a variable X (sometimes referred to simply as data) and an optional variable y (usually referred to as the target). The required data X is a table that contains instances (or samples) which are described by features. X is therefore a two-dimensional matrix with a shape of (n, m) where n is the number of instances (rows) and m is the number of features (columns). X can be a Pandas DataFrame, a NumPy array, or even a Python lists of lists. 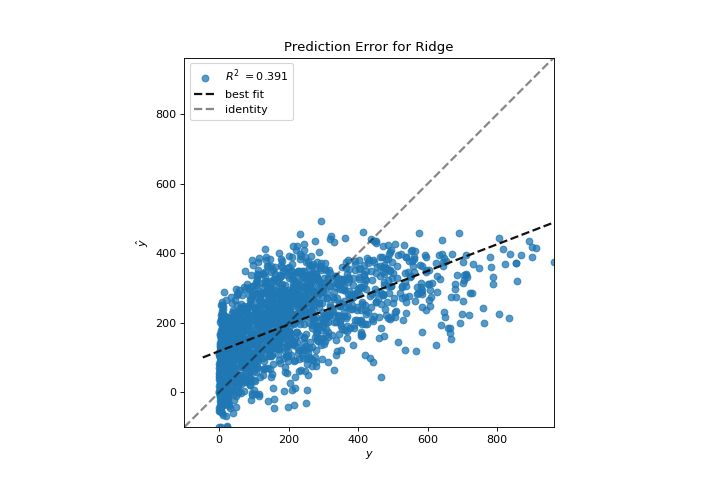 The optional target data, y, is used to specify the ground truth in supervised machine learning. y is a vector (a one-dimensional array) that must have length n – the same number of elements as rows in X. y can be a Pandas Series, a Numpy array, or a Python list. 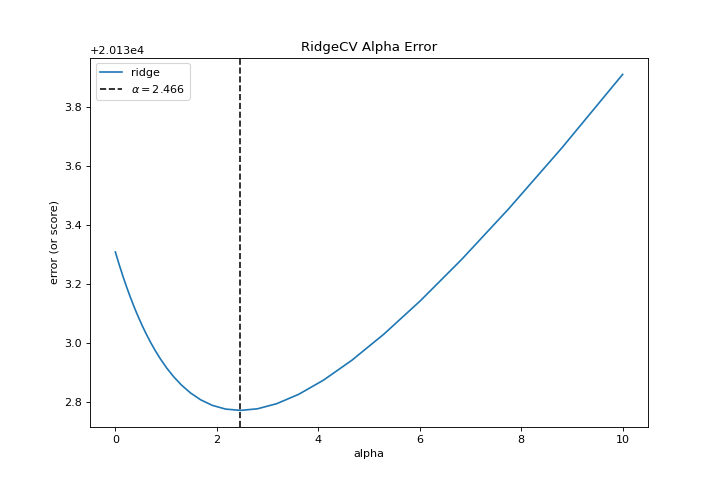 Let’s consider a regression analysis as a simple example of the use of visualizers in the machine learning workflow. Using a bike sharing dataset based upon the one uploaded to the UCI Machine Learning Repository, we would like to predict the number of bikes rented in a given hour based on features like the season, weather, or if it’s a holiday. We have updated the dataset from the UCI ML repository to make it a bit easier to load into Pandas; make sure you download the Yellowbrick version of the dataset using the load_bikeshare method below. Please also note that Pandas is required to follow the supplied code. Pandas can be installed using pip install pandas if you haven’t already installed it. In this chart, we see that the features temp and feelslike have a strong correlation and also that the feature season has a strong correlation with the feature month. This seems to make sense; the apparent temperature we feel outside depends on the actual temperature and other airquality factors, and the season of the year is described by the month! To dive in deeper, we can use the Direct Data Visualization (JointPlotVisualizer) to inspect those relationships.